Siemens is Europe’s largest industrial manufacturing company, focusing on electrification, automation, and digitalization. Founded in Berlin in 1847, it now employs 377,000 people worldwide and produces technology for industries such as power generation, rail transportation, healthcare, and water treatment. Its factory in Monterrey, Mexico, manufactures circuit breakers and switches for the U.S. domestic and industrial markets. Siemens recently leveraged its MindSphere Internet of Things (IoT) platform to connect production machines at the Monterrey plant to the Amazon Web Services (AWS) cloud in less than eight weeks, which will help it to double efficiency. Siemens PLM Software, a business unit of the Siemens Digital Factory Division, is a global provider of software solutions to drive the digital transformation of industry, creating new opportunities for manufacturers to realize innovation. AWS announced at Hannover Messe 2018 that Siemens PLM is a pre-qualified launch partner in the AWS Industrial Software Competency Program, which launches later in 2018. Siemens PLM Software is an AWS Partner Network (APN) Advanced Technology Partner. The Monterrey plant embarked on an ambitious digitalization strategy in 2017 with the goal of becoming an example of the next phase of manufacturing—Industry 4.0—which is driven by automation, IoT, and cloud computing. Siemens identified several use cases for digitalization, the most pressing of which was monitoring overall equipment efficiency (OEE). It had planned to record OEE metrics manually and analyze the data each week, but a unique opportunity arose to take its plans onto the cloud. In late 2017, Siemens announced the latest version of its IoT operating system, MindSphere, would be hosted on AWS. This partnership gives plants like the one in Monterrey immediate access to the compute resources needed to build an industrial IoT system in a fraction of the time it would take to set up a physical environment. The timing couldn’t have been better for the Monterrey team. After senior Siemens executives in Germany made connections, a MindSphere team from Boston came to Mexico in late February 2018 to discuss requirements and begin building a pilot solution. This involved connecting physical machines to the MindSphere cloud environment and building the application that visualizes the various metrics that plant managers need to monitor. The plant’s IT security team also had to ensure the data was protected both in transit and when stored on AWS. In addition, it had to approve the installation of the MindSphere agent software on the local server that connects the production lines to the cloud. By mid-April, the pilot was in production. “The MindSphere and AWS teams worked with us on short notice to deliver this pilot. They made it quick and easy for us to run our IoT solution in the cloud,” says Alejandro Prieto, manufacturing manager at Siemens. The main benefit to Siemens of connecting the Monterrey factory to the AWS cloud is the ability to view the real-time OEE of production lines and make immediate improvements. While building the dashboard application, the team used historical production data and uncovered a malfunctioning test machine. Once this was fixed, the number of good units coming off the production line (known as first-pass yield) improved by 3 percent. Because the factory built its IoT system using MindSphere on AWS, there was no need to learn new technologies or buy and deploy physical hardware. This helped the project go from conception to full production in less than 8 weeks. “The fact that MindSphere runs so seamlessly on AWS helped us avoid managing infrastructure altogether, so we could concentrate on creating value for the business quicker,” says Prieto. The plant’s OEE is currently 40-50 percent, but once the scheme is rolled out factory-wide next year the team’s target is 60 percent. Eventually, the goal is 85 percent. The custom application built on MindSphere will also allow the team to monitor the efficiency of individual production lines for more detailed insight. The Monterrey project is a model for Siemens plants worldwide, as well as a pioneering IoT use case for the local region. 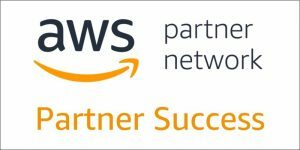 The APN is the global partner program for AWS and is focused on helping APN Partners build successful AWS-based businesses or solutions. As an APN Partner, you will receive business, technical, sales, and marketing resources to help you grow your business and better support your customers. APN Partners like Siemens Software PLM are focused on your success, helping customers take full advantage of the business benefits AWS has to offer. With their deep expertise on AWS, APN Partners are uniquely positioned to help your company at any stage of your Cloud Adoption Journey, and to help you achieve your business objectives.